Home / Blog / Onwards and Upwards for Horsham! 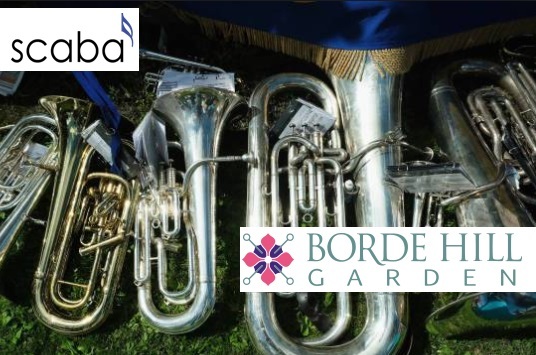 The Horsham Borough Band had a successful weekend representing the town in the Regional Finals of the National Brass Band championships, achieving promotion to the First Section from 2020. They are pictured here presenting a cheque to the Kent Surrey and Sussex Air Ambulance last week at an open rehearsal in the Drill Hall, Horsham. Andrew Hartley, the Band’s secretary, said ‘an open rehearsal in a different venue helps the bands preparation for the different acoustic at the competition compared to the normal practise room’. A cheque for £800 raised by the band playing Christmas carols outside Sainsbury’s in December was presented to Peter Green representing the Air Ambulance. The evening continued with a performance of the competition composition piece, called ‘Rise of the Phoenix’ which the band performed at the contest in Stevenage on Sunday (17th March). The band will be performing again at the Drill Hall on 10th May as part of the Horsham Year of Culture and the Great British Weekend. This entry was posted in Blog, News and tagged #AirAmbulance, #BrassBand, #HorshamBoroughBand, #regs2019. Bookmark the permalink.